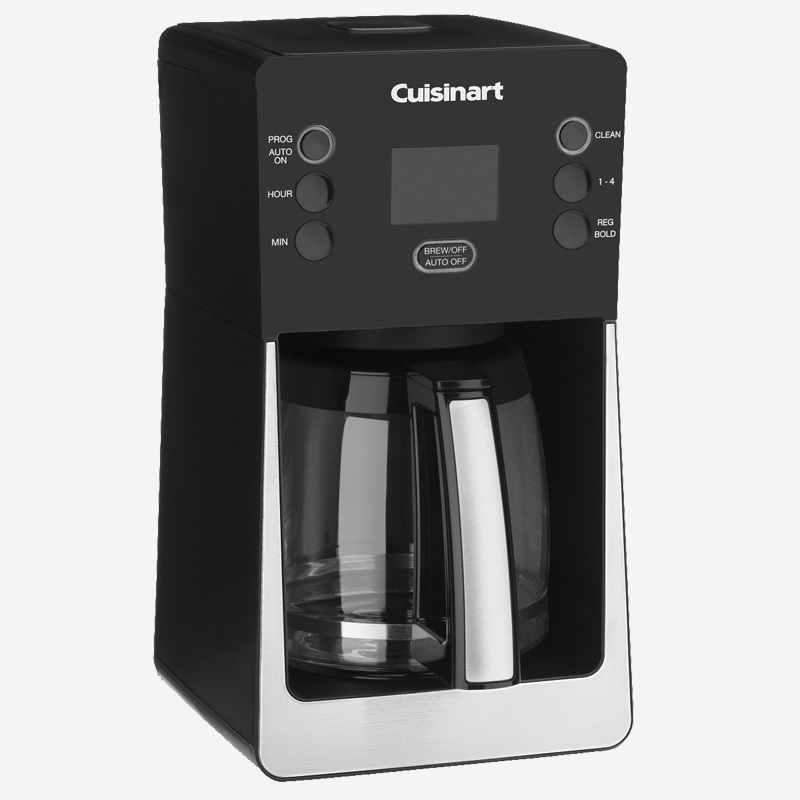 The Cuisinart PerfecTemp 14-cup Glass Coffeemaker features state of the art coffee making technology that turns up the temperature to deliver hotter coffee, while retaining coffee’s full flavour and quality throughout the brewing process - because temperature is as important as taste! Ideal for coffee lovers who prefer hotter coffee. The oversized digital display illuminates the full range of programmable options, including regular and bold flavour settings. The styling is sleek, with elegant angles and a new high-tech look with an extremely user-friendly control panel. 9.25" x 8.00" x 14.50"